This is dealt with in many places on the web, but I'm just hoping to simplify it here for my students with some important links. There are two types of pheromones: releaser and primer pheromones. Releaser pheromones are odors that are fast-acting and behavior-changing, like the smell a bee leaves as a mark on a threat when it is alarmed. Primer pheromones function much differently: they induce delayed, behavioral or psychological responses. Female worker bees do not lay eggs because they are under the spell of a primer pheromone released by the queen. The alarm pheromone emitted when a bee stings another animal smells like bananas. 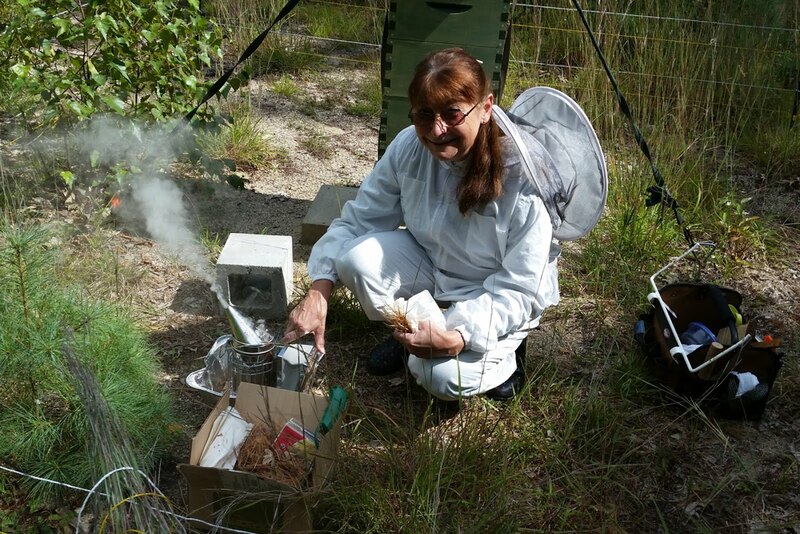 Smoke can mask the bees' alarm pheromone. The other alarm pheromone is released by the mandibular glands and consists of 2-heptanone, which is also a highly volatile substance. This compound has been found to anesthetize some intruding insects for about nine minutes. 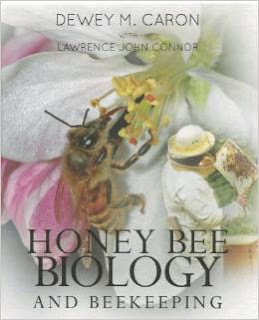 Nasonov pheromone is emitted by the worker bees and used for orientation and recruitment. Prevents worker bees from bearing offspring in a colony that still has developing young. Both larvae and pupae emit a "brood recognition" pheromone. This inhibits ovarian development in worker bees and helps nurse bees distinguish worker larvae from drone larvae and pupae. A common sight on a hive landing board is a little bee or several with their little bee butts in the air. This is where the nasonov gland is located. As the bees fan it with their wings, it gives off a smell similar to lemongrass. “Here we are – don’t bee lost”. Another common site is a small battalion of young bees hovering & flying in short spirts, while facing the hive. The guard bees hustle them out to practice these “orientation flights” whenever a safe window of opportunity presents itself. Honey Bees are excellent navigators – even on a cloudy day they utilize the polarized light of the sun to get around; many colony dynamics come into play for success. Navigating serves two purposes for the honey bee: Do the job – Get home. • Moving a hive is very problematic because honey bees are very location specific. The landing board they leave from is in the only place they know to return to whether it is still there or not. • If during the day a beekeeper moves a beehive that has flying foragers, those foragers will come back to the base the hive sat on. It is the only location for “home” they have oriented to. Methods for moving hives must be carefully thought out by the beekeeper. Many are discussed in online beekeeper venues. • Bees cannot navigate without the polarized light of the sun so, unlike bumble bees, do not do well in a greenhouse or any house but their own. • The honey bee’s day is done at dusk. They cannot navigate in the dark. Night lights confuse them. • If trapped in a house or a car they will go immediately to a window toward the outside light trying to get home. 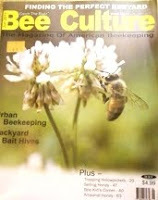 • Bees may drift to other hives by mistake if they can’t recognize the home hive from the others in the apiary. If they have food with them they are welcome; if not, they are expelled & unless they can smell the difference between their home and the neighboring hive, they are lost. 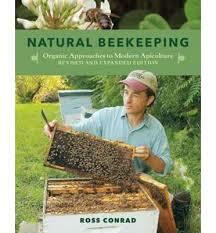 • In winter honey bees can be confused by a wrapped up hive when coming back from voiding waste. They often try and find their way under winter wrappings in vain. They can become exhausted, dying in the snow while looking for home. • There are no nasonov fanners on the landing board in winter. 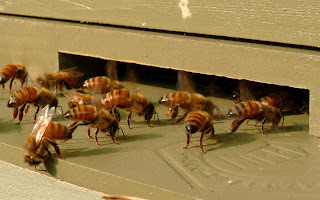 Some beekeepers do not wrap the front of the hive to avoid confusing the bees or concealing its uniqueness in the apiary. We didn't get to this subject in our last club Bee School. This subject is often seldom addressed in books and lectures as well.